We've made a list, we've checked it twice, and we've come up with our top 12 treats of Christmas. You'll find cheesecakes, cookies, candy, and more to celebrate the season with your family and friends. Don't forget to save a bite for Santa! 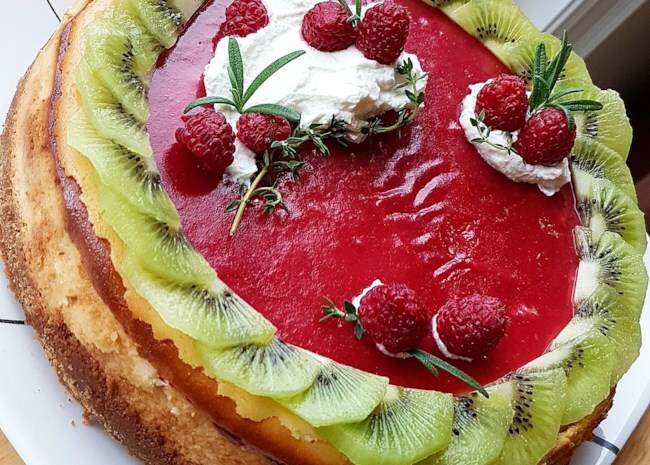 To make this top-rated cheesecake ready for holiday parties, you can follow the lead of Allrecipes home cook Crystal Wang and embellish it with a raspberry glaze, sliced kiwis, whipped cream, and fresh herbs. Get tips to make the best cheesecakes. Easy to make and gorgeous to behold, these classic thumbprint cookies rock their Christmas colors of red and white. Home cook MarcieJ offers these tips to make sure your cookies don't flatten out: First, turn the oven temp down about 10 degrees. Second, don't soften the butter before mixing, just cut it into 1-tbsp pieces and mix with the sugar (until thoroughly incorporate). Third, add an extra 1/4 cup of flour to the dough. 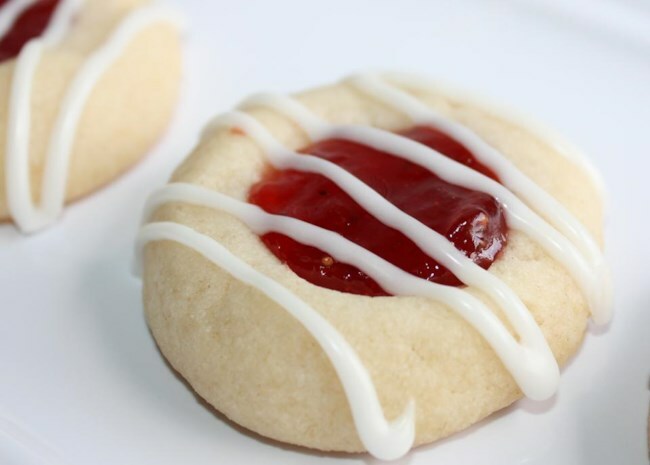 Finally, once you've filled the thumbprints with jam, put the whole cookie sheet in the freezer for 10 minutes before baking. Get more Christmas cookie recipes. You'll bake chocolate cake batter in a jellyroll pan and roll it up around a chocolate filling. Top it with even more chocolate and you have a classic Christmas cake to impress your family and friends. Home cook Ducky offers these helpful tips: "Made this yesterday: easy and delicious!! A few tips: To prevent the cake from breaking/cracking, you need to roll it up in the cloth IMMEDIATELY after taking it out of the oven! Also, the more you whip your eggs (I used a stand mixer on high for ~5 minutes), the lighter and fluffier your cake will be." 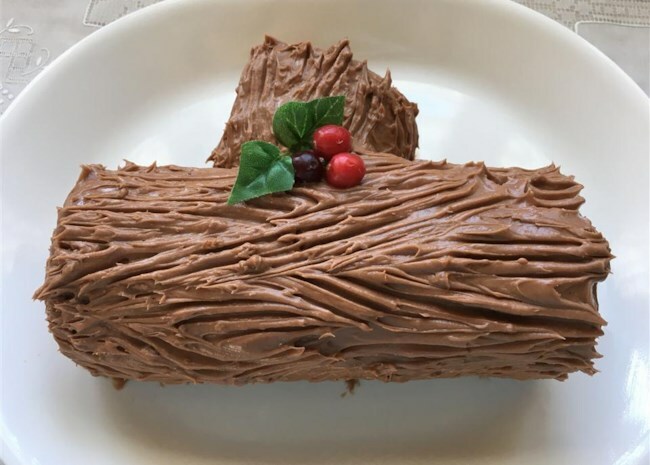 Many reviewers opted to use a chocolate buttercream frosting for the filling instead of the chocolate cream cheese in the recipe. Your call, of course. Thirty minutes is all it takes to whip up a batch of this top-rated fudge, so it's easy to make more just in case it all disappears before you give it away as gifts. Home cook HeatherHippo says, "My mother used to make fudge every Christmas, and although I wanted to carry on that tradition the traditional fudge recipes were all so hard, and never seemed to turn out well. I tried this recipe last year, and not only was it quick and super easy, the fudge tasted spectacular!" 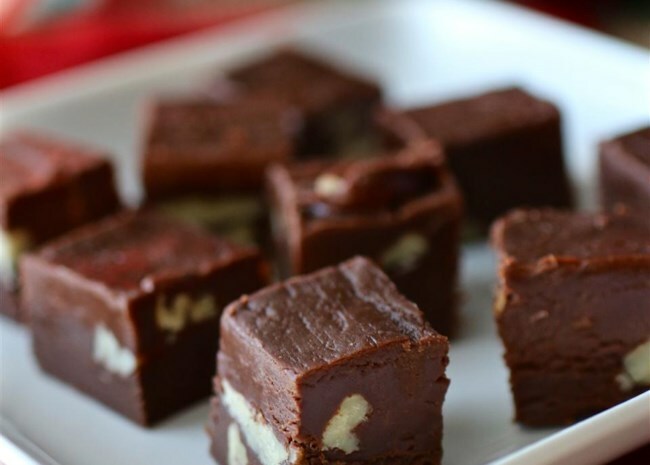 Get more fudge recipes, plus tips to make creamy homemade fudge. The secret to this deceptively easy dessert is read-to-bake frozen puff pastry and a scoop of that chocolate hazelnut spread everyone loves. We've included a video so you can see how easy it is to make. Top tips from our home cooks: Warm the Nutella in the microwave for 15-20 seconds to make for easier spreading and add a dried cherry or a red candy to the end of each branch for a Christmas-y touch of color. See what other easy treats you can make with frozen puff pastry. Just think how enticing your kitchen will smell when you're baking up these spicy Christmas cookies. Gingerbread dough can be a little sticky to work with, so do what Katgrrrl recommends and keep the dough as cold as possible while you work with it. A good idea is to divide it into portions and work with one portion at a time while the others chill in the fridge. 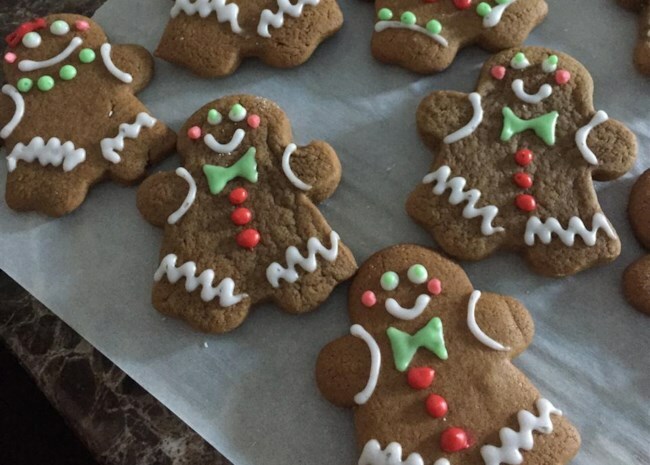 Get more gingerbread cookie recipes. 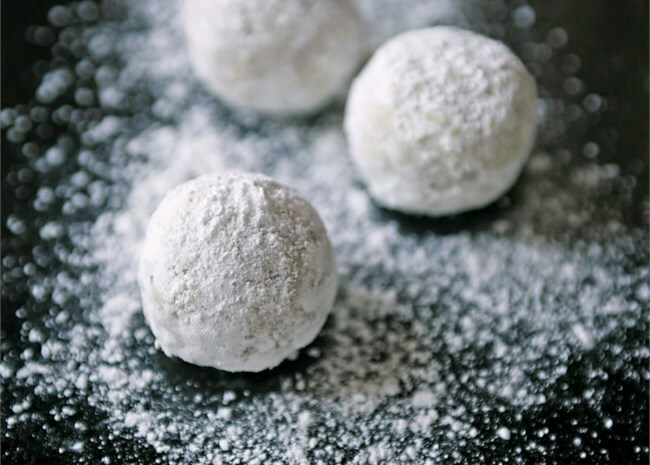 Maybe it's because they look like coconut-covered snowballs, but moist and chewy macaroons earn their place on our list of Christmas favorites. Chef John dips his in chocolate to make them extra decadent. Home cook DolphinpodP offers these tips: "The trick is finding the right scoop to use. And don't skip rolling them in extra dry coconut before going on the baking pan, so much extra yum!" Watch the video to see how to make them. Get more recipes for macaroons and French macarons. It's not fair that you only see these delicate cookies at Christmastime, especially since they're so easy to make. Home cook bratmonkey says she's been making them for years, and offers these helpful tips: "Chop nuts to almost flour consistency, measure after chopping. Bake only until they get small cracks, don't let them turn brown. Let sit on baking sheet 10-15 minutes (if you try to remove them from the baking sheets too soon they will disintegrate), then place 6-8 at a time in a gallon zip-top bag with powdered sugar while they are still warm, but not hot. Seal and roll gently till cookies are totally covered. Remove and place on cooling racks until totally cool. By rolling them when still warm, they will not need resugaring later." If this is your first try at candy-making, do yourself a favor and buy an inexpensive candy thermometer--this recipe is easy but you need to get the temperature right so the mixture hardens into toffee. Get tips to make great homemade candy. Easy to make and customize. Home cook Ali says she made "a million" of these for a Christmas party and came up with different variations, including "almond extract and roll in crushed almonds, peppermint extract and roll in crushed candy canes, rum extract and roll in toffee bits, hide a white chocolate chip in the middle and drizzle with melted white chocolate, hide a peanut butter chip in the middle and drizzle with melted peanut butter chips, add 1 tsp instant coffee granules and roll in cappucino powder." 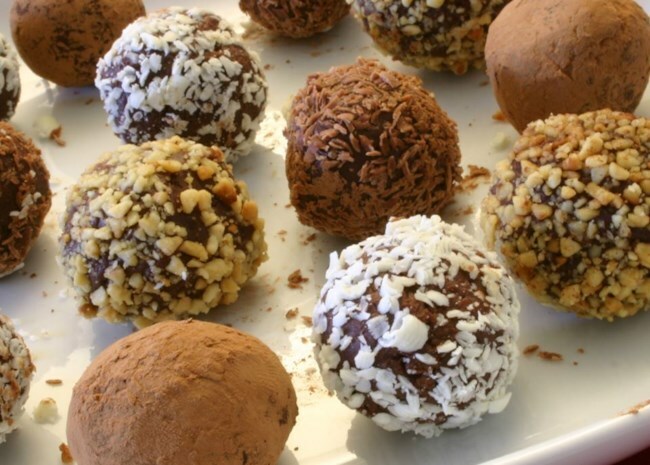 Watch the video to see how they're made, and get more recipes for truffles. 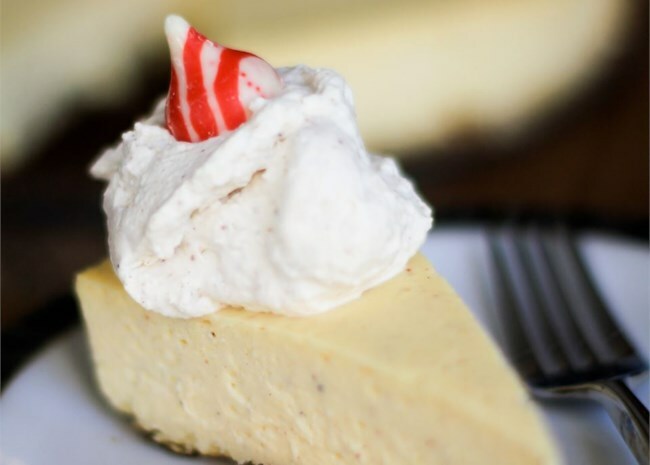 Eggnog and cheesecake come together in one luscious holiday dessert. Saint Louis Cook says, "This may be the best cheesecake I've ever made. I brought this to our work holiday party and EVERYONE raved about it. Not too sweet, great eggnog flavor. I did a gingersnap crust instead of graham cracker and that complemented the nutmeg and eggnog beautifully and substituted vanilla extract for the rum." Get recipes for homemade eggnog. 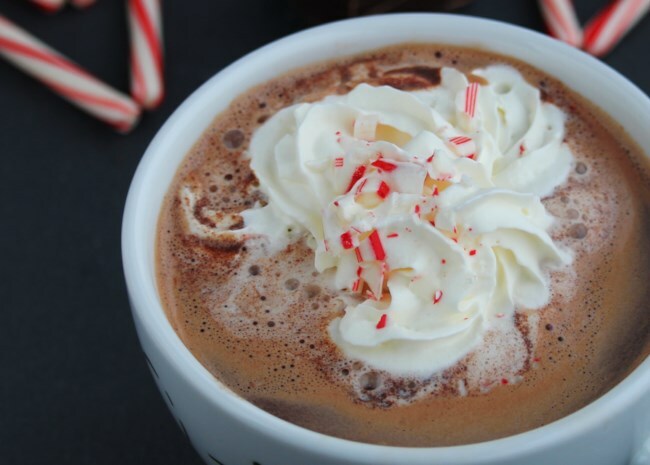 Yes, it's a beverage, but this chocolate and peppermint cocoa qualifies as a holiday treat. Home cook LARINA says, "This was a great treat! My family also enjoyed this while decorating the tree this year. I added red colored sugar sprinkles to the top of the whipped cream. It was very attractive looking and the kids went crazy! We loved it!" Get recipes for hot chocolate. Get more top-rated Christmas dessert recipes.